Make your payday even better with Payroll Giving, it’s the best way to give. 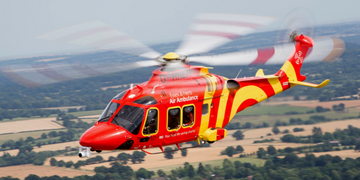 Work wonders with your wages for your local life-saving charity. 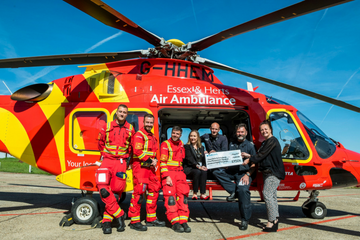 Payroll Giving, also known as ‘give as you earn’ or ‘workplace giving’, is a quick, easy and tax efficient way for both employees and employers to support Essex & Herts Air Ambulance. Payroll Giving is a great way of engaging employees through the encouragement of making a regular donation to their favourite causes through their salary. It’s really easy to get started, just visit the Payroll Giving Association portal and follow the instructions. You choose an amount you’d like to donate and each payday we receive your gift automatically directly from your salary. How does Payroll giving work? Choose how much you want to donate. You can give as much as you like and change or cancel your donation at any time by informing your Payroll Department. Your donation comes out of your wages on payday. Your donation is taken from your pre-tax pay. Payroll Giving allows you to donate straight from your monthly salary before tax is deducted. Every pound you give will only cost you 80p, or only 60p if you are a higher tax payer. • £2 – can buy a scalpel which could be used for emergency surgical procedures. 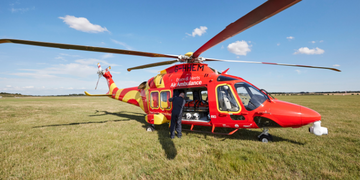 • £5 – can buy disposable head blocks to help maintain spinal immobilisation in trauma patients. • £15 – 3 x forceps for assisting in treating a collapsed lung. • £20 – can buy a combat tourniquet to halt serious bleeding. No there is no upper or lower donation amount, you donate as much as you feel you can a month. When will my first donation be deducted? Your first Payroll Giving contribution is made on your next pay day. However, if you are signing up towards the end of the month – after your employer’s payroll has been processed – your first contribution will be made the following pay day. Can I stop giving when I want? Yes. All you have to do to stop or change your donation is to directly notify your payroll department. Yes, but only a small one. Your employer will use a Payroll Giving Agent to distribute the donations that you make. The Payroll Giving Agents are charities that need to make a small charge to cover their operating costs. 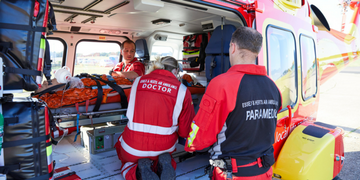 Some employers pay this fee on your behalf so we receive your full donation. If your employer doesn’t pay the fee, the Payroll Giving Agent will deduct it from your donation before passing it on to us. This will be between 2% and 4%. What should I do if my employer doesn’t currently have a scheme? If you aren’t sure that they do, email us anyway and we can perhaps we can suggest to them that they introduce one if they don’t. If you would like to talk more about setting up Payroll Giving please call 0345 2417 690 and ask to talk to a member of our Finance Team . To talk about Corporate Fundraising in Essex please contact Sabi Stafford at [email protected] or call 0345 2417 690. To talk about Corporate Fundraising in Hertfordshire please contact Natasha Robertson at [email protected] or call 0345 2417 690. Can buy a sling to stabilise a patient’s pelvis and reduce bleeding. That's equivalent to a donation of £2 a month. Can buy a splint to provide traction to broken long bones. That's equivalent to a donation of £5 a month. Can buy one vial of Beriplex to reduce bleeding in trauma patients on Warfarin. One patient may need up to 10 vials. That's equivalent to a donation of £8.34 a month.